Gone are the days when zippers were meant to be “invisible” fasteners and hidden in garment seams. Exposed zippers are now a fashionable design element, and the zipper tapes are intentionally placed on the outside of skirts, dresses, and other garments. This is great news for sewists of all skill levels. as exposed zippers are EASY to insert. 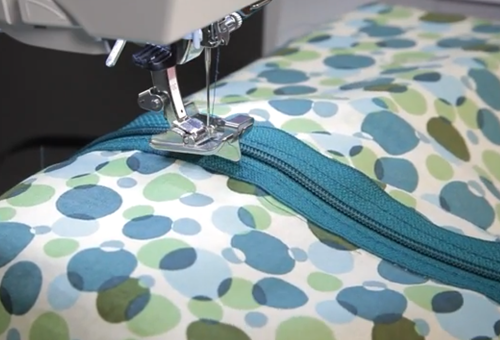 Join Connie as she shows how to properly insert an exposed zipper. Previous Previous post: What is “Wallpaper Piecing”?